Historically, courts have given a broad leeway to police officers when it comes to traffic stops, often granting a greater weight to public safety than to the rights of the accused. However, these powers are not limitless. If a police officer didn’t at the very least have reasonable suspicion of a crime prior to initiating the traffic stop, Fort Lauderdale DUI defense lawyers know that evidence gained thereafter is subject to suppression. Reasonable suspicion is defined in the 1968 case of Terry v. Ohio, and it holds that an officer has to be able to show specific and articulable facts which, when taken together with rational inferences, justify the intrusion. This is a fairly broad definition, and police have a tendency to stretch it as far as they can. In some cases, when officers can’t find fault with a person’s driving, they may look to minor deficiencies in the vehicle as grounds to initiate the stop. This can be anything from a burned-out taillight to a dragging muffler. 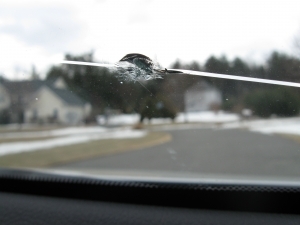 In the recent case of State v. Cantsee, the Nevada Supreme Court weighed the validity of an officer’s decision to stop a motorist with a cracked windshield. In Nevada, as in Florida, there are laws that require a person’s vehicle be in good working condition. Florida Statute 316.610 indicates that it’s unlawful for a person to drive (or knowingly permit to be driven) a vehicle that has unsafe conditions. The law specifically states that any police officer at any time can stop a vehicle he or she has reasonable cause to believe is not safe or not equipped as required by law. The officer can compel the driver to submit to a vehicle inspection to ensure the vehicle is in good working condition. However, rarely is the officer primarily concerned with your broken tail light. Instead, he or she is looking to see if you show any signs of intoxication or if you may have any drugs or weapons in your vehicle. In the Cantsee case, the issue was a busted windshield. According to court records, the defendant was stopped by the police officer for driving a vehicle with a cracked windshield. The officer in her report cited a specific state statute that indicates that all vehicle windows and windshields must be unobstructed. However, nowhere in that particular statute does it specifically say that the vehicle can’t be driven with a cracked windshield. Upon stopping the vehicle, the officer observed that the defendant appeared to be intoxicated. The driver submitted to field sobriety tests (which he failed) and breathalyzer and blood tests revealed his blood-alcohol content was above the legal limit. He was arrested for felony DUI, violation of the state’s open container law, failing to maintain car insurance and driving with a cracked windshield. At a preliminary hearing, the officer indicated her only reason for stopping the defendant was the cracked windshield. The defendant filed a motion to suppress on the grounds that her reason for stopping him was a mistake of law that invalidated the investigatory traffic stop under the Fourth Amendment. He argued that although a cracked windshield could possibly violate another state statute, she had cited a statute in her report that did not specifically make driving with a cracked windshield illegal. The defendant further argued that the crack in the windshield was not a safety hazard that would have justified a stop under the statute the officer cited. The district court granted the motion to suppress, reasoning that the state could not later cite a different statute as grounds for a stop that was predicated on an unrelated law. The state appealed on the grounds that citing the wrong statute is not a mistake of law that invalidates an investigatory traffic stop. This was the first time the high court in Nevada had weighed in on this particular issue, and it ultimately chose to side with the state. The court first pointed out that a mistake of law occurs when an officer believes a suspect’s conduct is illegal when, in fact, the law doesn’t actually prohibit it. However, the court indicated there is a difference between this and a mistake as to which law applies. The incorrect application of a statute does not qualify as a mistake of law that would invalidate a traffic stop. This ruling means the state will be allowed to press forward with its felony DUI case.